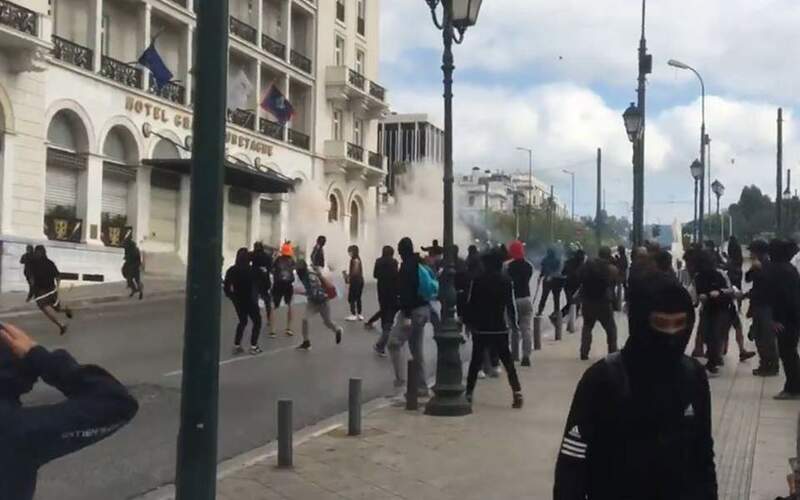 Greek youths clashed with police in central Athens on Monday as a protest against education reform turned violent when it reached parliament’s Syntagma square. The incidents occurred during a march by students to parliament, protesting against a draft bill changing university entrance requirements. Reuters witnesses saw at least three petrol bombs hurled by demonstrators, who also threw flares. Police responded with rounds of teargas. High school students say the changes will increase the exam burden and create a system which discourages critical thought.